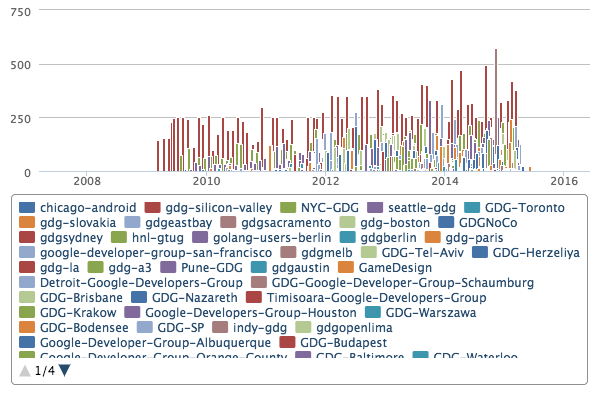 Here's update to show RSVP history for most of the Google Developer Groups (GDG)'s in meetup.com. If any GDG is missing, please let us know. Here's a little project that can possibly be used to get data from meetup api into CSV format for google sheets, etc and also BigQuery. If you have a BigQuery account, you could easily load all the RSVP history for all groups into BigQuery or any database.